And here is another of our ‘cheeky’ fella’s in white. 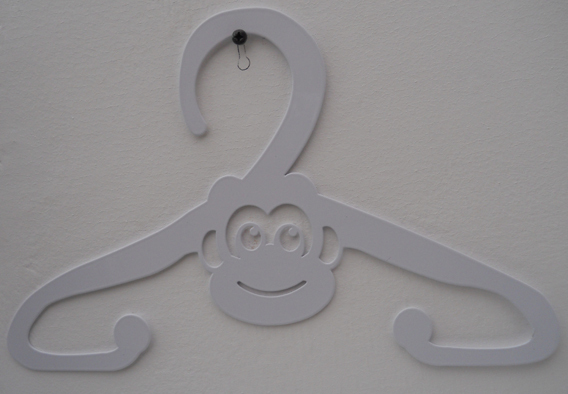 Monkey hanger made from mild steel and powder coated. 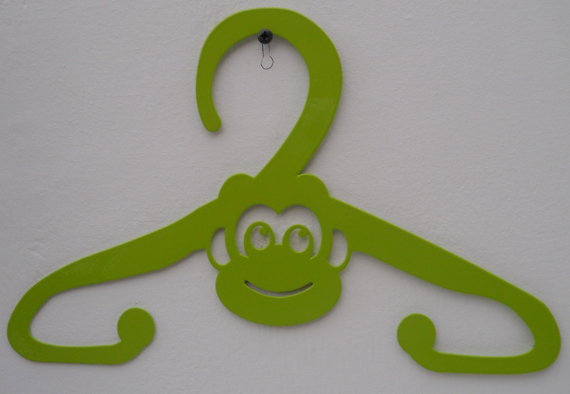 And here he is, our latest addition to Nest’s kids range of hangers, our ‘monkey’ in green. A great way to display your lil monkey’s precious items. Made from mild steel and powder coated. Orange flamingo hanger. In kids and adult sizes. Green flamingo hanger. In kids and adult sizes. White flamingo hanger. In kids and adult sizes. Black flamingo hanger. In kids and adult sizes. Blue flamingo hanger. In kids and adult sizes. Red flamingo hanger. In kids and adult sizes.